My third article is about Chuck Schumer. That was a bad idea. Schumer rambled from topic to topic, including some strange story about his high school days and his dad being an exterminator. He then launched into an odd dialogue about how he didn’t get into Harvard but then he did. The Democrats don’t want to negotiate to fix the border crisis and keep illegal-alien “families” together. They want to use the migrant children as hostages in order to get amnesty for illegal immigrants. 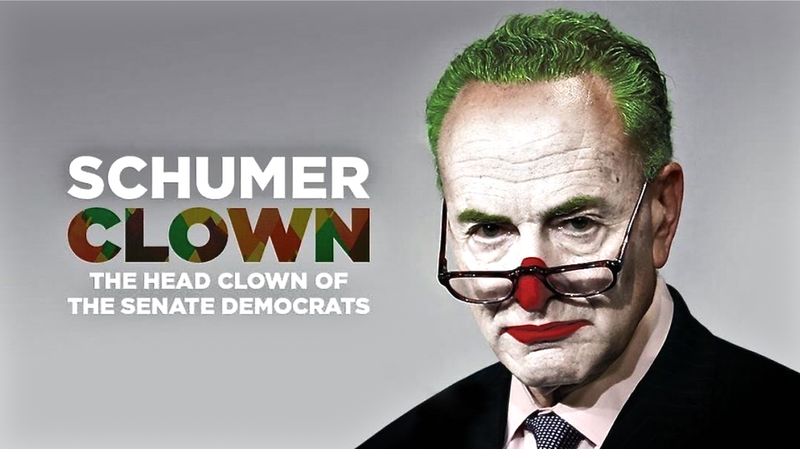 Schumer’s rejection of proposed GOP legislation confirms that they are using the border crisis to instigate fabricated outrage in order to attack President Trump. They blatantly ignored this during Obama’s 8-year presidency. Schumer wants to keep the focus and pressure on Trump instead of doing his job as a legislator by passing bipartisan laws to fix the problem. Democrats who have slammed President Trump as authoritarian for signing executive orders they didn’t like, now want him to “fix” the border issue by signing an executive order because it advances their political goals, which is a borderless nation overrun by illegals that will vote Democrat. Schumer has shouted over and over about Trump and Russian collusion. Is that Schumer shaking hands with Putin? Who is actually colluding? Allow me to repeat, who are colluding?